If you're a member of your service's training group on GovernorHub, you will be able to create training sessions from the Training tab of the group. 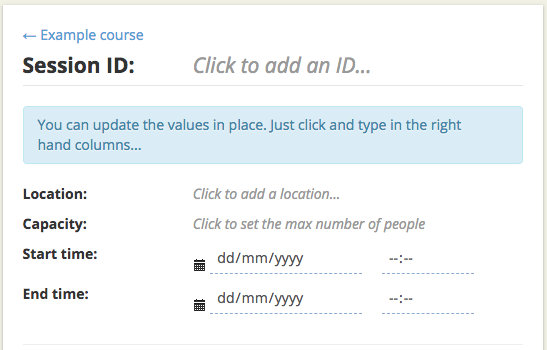 You can group sessions by date, course or trainer, and toggle between sessions in the future and the past. 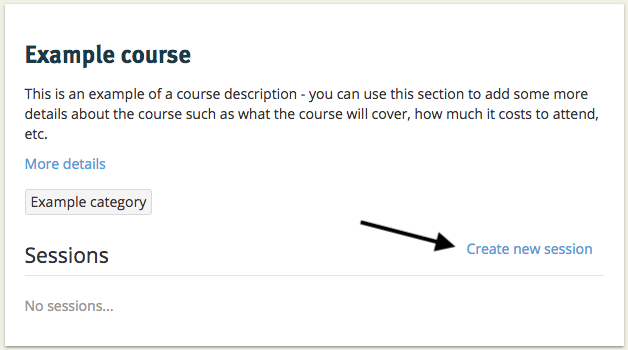 ... or click on the course name and click on the + Add Session button. You can then fill in the details for the session, including session ID, location, capacity and start and end times. 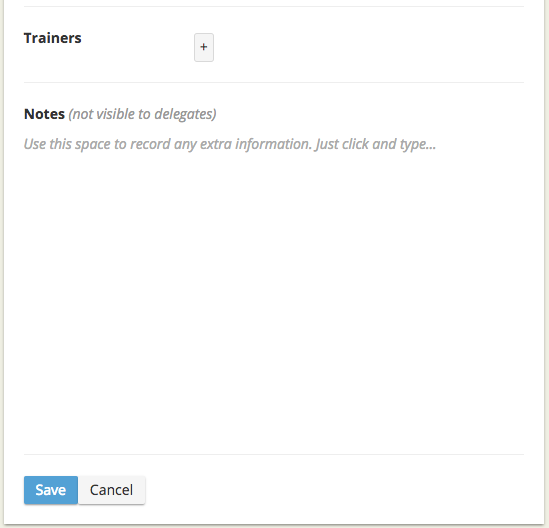 You can also set the trainer for a particular session, and add notes to the session, which are only visible to you and other members of the training group. Once you've added all the details for the session, click Save. To cancel the session, click on the Cancel session button. This will not automatically notify the delegates of the cancellation, allowing you to get in touch with them directly to explain the cancellation. To remove a session altogether, click on the Remove session button.